Maanshan Henglida Machine Blade Co., Ltd.
maker and supplier in China. 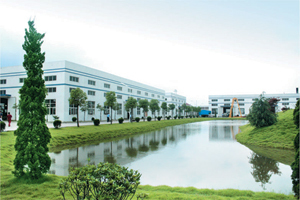 Add: Bowang Special Economic Zone, Maanshan City, Anhui Province, China. Maanshan Henglida Machine Blade Co., Ltd. is a full-service industrial machine knife maker that has been in operation for over ten years. Our primary cutting blades include circular knives, straight knives, and special cutting knives for a wide variety of applications. We at Henglida have a staff of highly qualified technicians who specialize in developing the best quality, most reliable machine knives for our customers worldwide. Our goal is to provide a full range of high quality cutting blades, including: paper cutting machine knives, for paper converting, packaging, printing, and tissue & napkin manufacturing industries; wood mill machine knives and saw blades, which are used extensively in the manufacturing of plywood, particle board, veneers, etc. ; metal cutting machine knives for the steel and non-ferrous-metal production industry, as well as cutting machine knives for leather, rubber, and plastic industries, and more. Our non-standard cutting blades as well as our standard cutting knives, whether rubber cutting machine knives, leather cutting machine knives, or any of our other knives, can be provided to your particular OEM specifications. In addition, you may choose whichever raw materials you like to create the machine knives you require, such as: tool steel, high speed steel, tungsten carbide and high carbon high chromium steel, etc. The low cost, coupled with the high quality and reliability of our machine knives, especially our shear blades, slitter knives/slitting knives, and perforation knives, etc., have made them popular in the USA, UK, Russia, France, Germany, Indonesia, Thailand, Malaysia, Nigeria, Vietnam, and more. For any of your cutting needs, please feel free to contact us at +86-555-676-885-9 for more information.